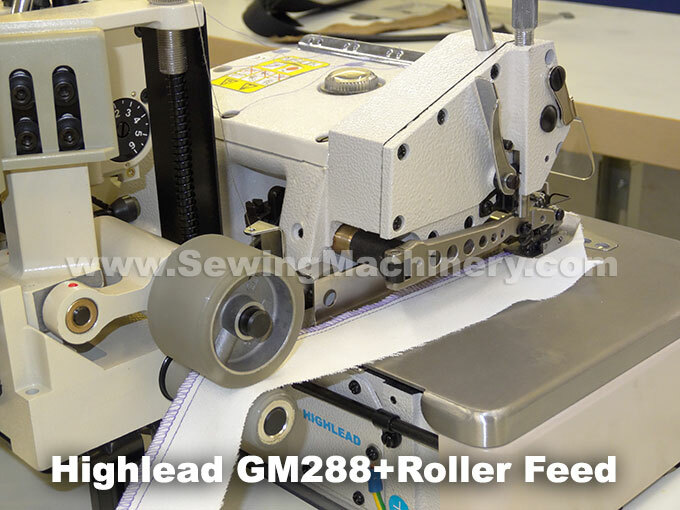 Highlead GM288-PU is a specially adapted industrial overlock sewing machine which features a powerful driven puller feed system (Roller feed). The driven puller feed system, with top & bottom rollers, is mounted at the back of the machine and combines with the overlocker's feeders to facilitates a positive straight feeding action for long flowing materials. An electric roller lifting device is included as standard for easy loading and unloading. 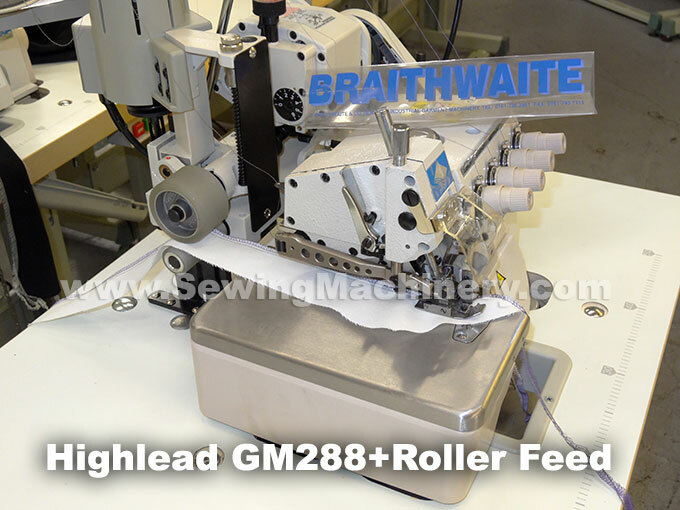 Smooth & quiet operation using a robust balanced overlocker sewing head with easy to use operator adjustments such as stitch size, feeder movement and independent puller feed compensator.